Templecombe's Midland 4F No. 44417 is captured running around the 1.15pm service from Evercreech Junction at Combwich. Notice the disused narrow gauge tramway embedded into the quay. nevard_100307_combwich_IMG_6437_web, originally uploaded by nevardmedia. All aboard the 2.15pm Service from Bleakhouse Road to Combwich! A unique Somerset and Dorset train service will operate at this years Wycrail exhibition on Saturday 6th November. This year will see two well known Somerset & Dorset Joint Railway layouts come together under the same roof for the very first time! 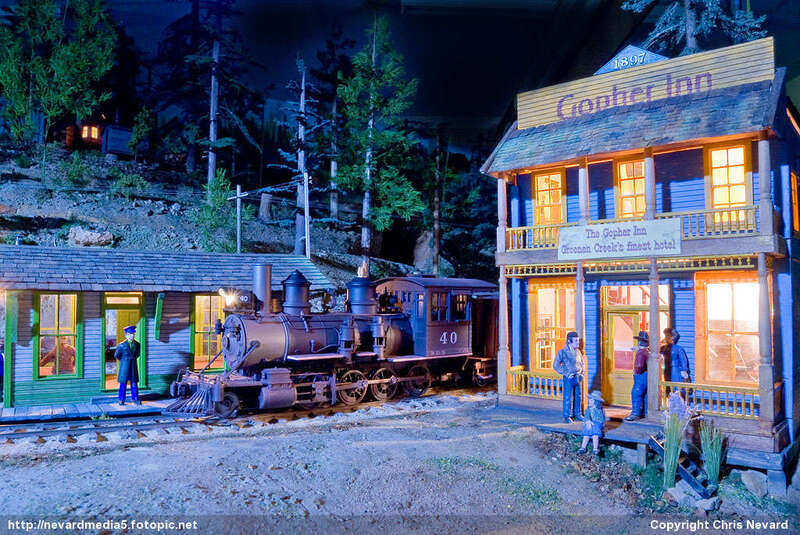 After several years of eager anticipation and discussion, the High Wycombe and District Model Railway Society have created a rare opportunity for this overdue pairing of layouts to at last become reality - but only for one day! 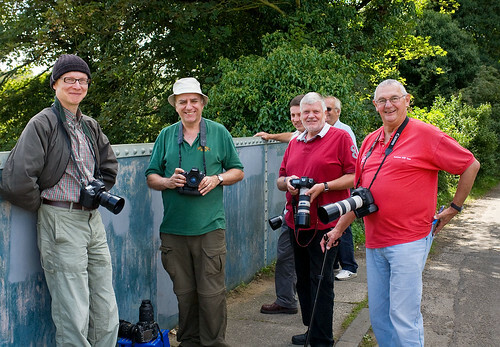 On the day, the highlight will be the anticipated passing of passenger and goods trains between Bleakhouse Road - Tim Maddocks' (CK) fine portrayal of the Somerset Levels and Combwich - Chris Nevard's exhibition shy, but web famous, layout based on the banks of the River Parrett. Over 20 high quality and inspirational model railway layouts will be attending, of both British and continental outline and in a wide range of scales and gauges including N, 3mm, 00, H0, EM, P4, 0 and narrow gauges. Full trade support will be present ranging from tools, kits, electronic components, R-T-R models to books and also includes the Hornby Hobbies roadshow, the RMweb & the Hornby Magazine stands. A free vintage bus service is once again being operated from the Railway Station and Town Centre to John Hampden Grammar School. The bus service will depart from Wycombe Railway Station on the hour between 10:00 and 16:00. Return journeys will depart John Hampden Grammar School every hour between 10:30 and 15:30 with the final two journeys departing at 16:25 and 17:05 immediately after the show closes. Brentford Waste Terminal, originally uploaded by nevardmedia. An aerial view of Brentford Waste Terminal looking towards the centre of London. The waste after processing gets shipped off in the yellow containers by rail to a landfill site at Appleford, Oxfordshire. The photograph here is a montage of 6 frames. 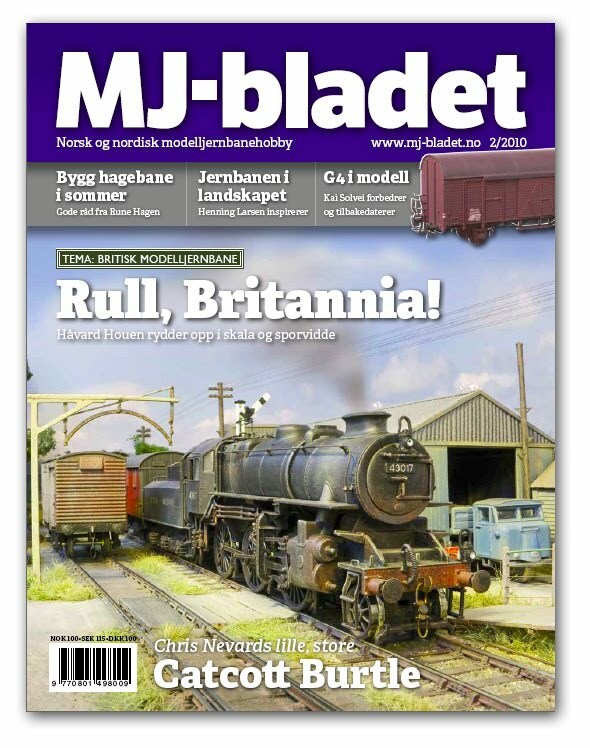 MJ Bladet the Norwegian equivalent of the UK's Model Rail mag dropped onto the doormat. Rather than the Norwegian content you'd expect, this issue is mainly dedicated to foreign climes, in this case us Brits. Inside there are many iconic layouts that will be familiar to regular readers of the UK press and exhibition circuit. 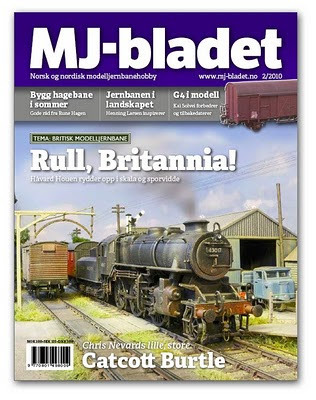 I'm delighted of course that my Catcott Burtle is on the cover of this issue, complete with a feature on the little trainset too - all in Norwegian of course! nevard_100903_spotters_lower-bas_DSC_9358_web, originally uploaded by nevardmedia. The railway modelling side at Nevard Towers has been rather quiet over the last few weeks, not due to a lack of interest but quite the opposite, more due to magazine shoots and and attempt to enjoy the autumn styled summer we've been enduring. 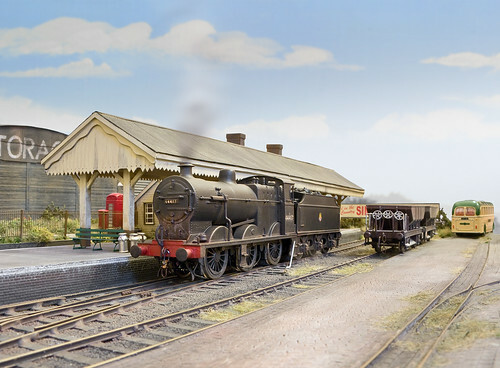 So, the address the railway modelling aspect of this BLOG, here's a chance to see some of the best UK model making around from various clubs and highly talented individuals captured for the printed page over the last year or two. If you've seen this collection before, it's just had a major update with older images removed and new ones added.